Kay Sidebottom, a PhD student and lecturer at the University of Leeds, has won Shooter’s 2017 Poetry Competition with her poem “Ex Libris”. Out of almost 500 entries, Sidebottom’s poem won for its witty (literally) literary wordplay and deft, understated style, devoid of excessive sentimentality. Although Sidebottom began writing poetry at the age of six, she had a “thirty year hiatus,” she said in an email, “before being persuaded to start again by a friend.” She is based in Yorkshire and her poems, stories and other writing can be found at writingaftertherainscame.blogspot.co.uk. The competition’s runner-up, Robert Kibble, composed an irresistible twist on Robert Burns’ “Address to a Haggis” to inveigh against the current US president in “Ode to a POTUS”. He writes on the side of a “very much less creative day job,” he said in an email, and maintains a blog at www.philosophicalleopard.com. He is also on Twitter @r_kibble. Kibble originally wrote “Ode to a POTUS” for his writers’ group Burns Night party. “Please, America, get well soon,” he quipped. Sidebottom’s winning poem will appear in Shooter’s forthcoming winter issue, but both poems are also available to read online now at shooterlitmag.com/competition-winners. 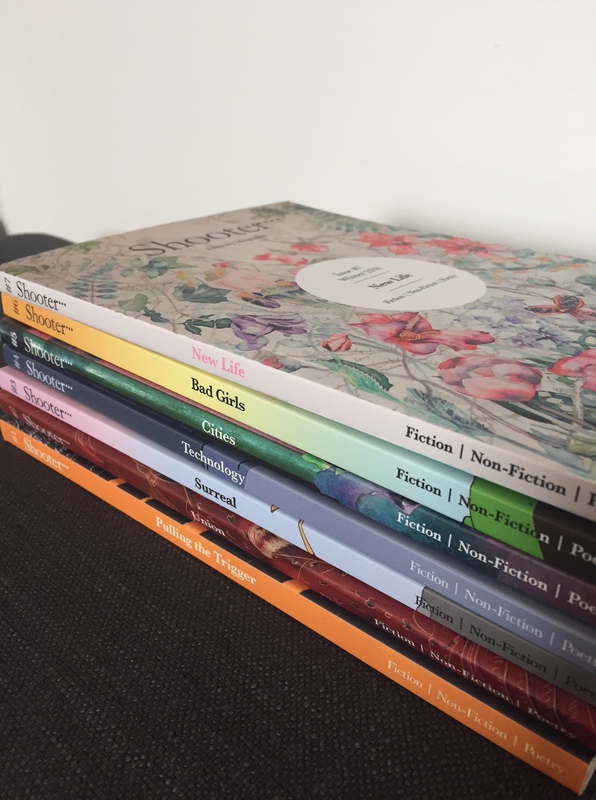 Shooter’s 2018 Short Story Competition, as well as general submissions for the summer issue, will open for entries in early February.